PHILADELPHIA, PA (January 17, 2016) — On January 18-20 M3 Global Research is exhibiting at the QRCA 2017 Annual Conference in Los Angeles, CA as a platinum sponsor. Lindita Mezani, Vice President of Market Research and Amber Esco, Chief Strategy Officer, will be at booth 108 making connections and providing insights on "M3’s focus group facility’s capabilities. M3 Philadelphia Studios opened its doors in January 2016 on the 30th floor of the iconic Philadelphia landmark in the heart of the business district of Center City Philadelphia, One Liberty Place. M3 Philadelphia research facility offers Wi-Fi throughout an expansive space, HD streaming in every suite, and custom designed AV technology. 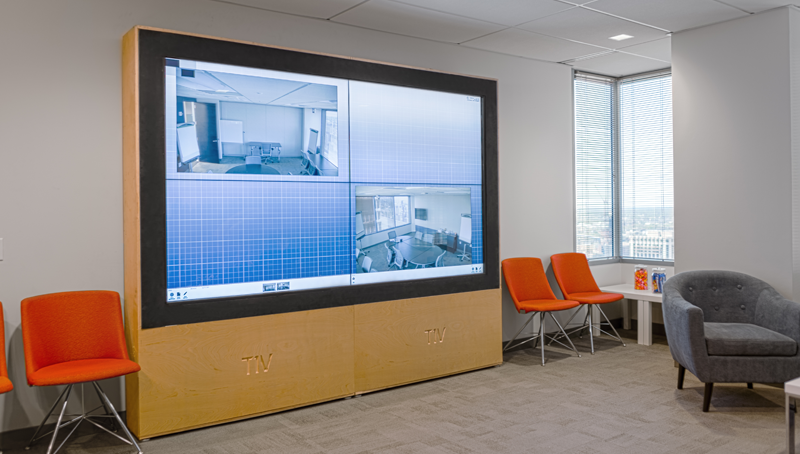 The technology room for its Philadelphia focus groups offers seating for up to 12 observers and an interactive video wall to watch studies as they are being conducted. By combining two of the rooms, M3 has the largest conference room for market research in Philadelphia that is suitable for mock trials, taste test, and other research study groups which require extended space. M3 is also a QRCA annual partner. QRCA is a global not-for-profit association of consultants involved in the design and implementation of qualitative research including focus groups, in-depth interviews, in-context and observational research. In the first quarter of 2017 you can find M3 Global Research at PMRC on February 1-2 in Parsippany, NJ and PMRG/PMSA Symposium on March 7 in San Francisco, CA. M3 Global Research provides the most comprehensive and highest quality market research recruitment and support services available to the industry with relationships reaching respondents in more than 70 countries worldwide. M3 Global Research maintains ISO 26362 and 27001 certifications with the highest quality data collection and project management capabilities that cover the spectrum of quantitative and qualitative techniques utilized today. M3 services incorporate all of the most advanced statistical and attitudinal methodologies allowing clients to provide world-class offerings and support services to their end-client customers throughout multiple industry sectors. Beyond healthcare providers, M3 Global Research creates and maintains relationships and panels of Patients, Caregivers, and general consumers. M3 has offices in Tokyo, Washington D.C., Fort Washington, PA, Oxford, London, Beijing, and Seoul.